The Workhouse Arts Center (WAF) is proud to announce a call for entries for its 4th Annual Workhouse Glass National Exhibition 2018. 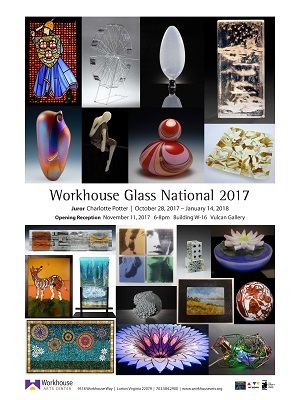 This annual Workhouse Glass National Exhibition is an “Open Call” for functional and/or sculptural glass artworks. 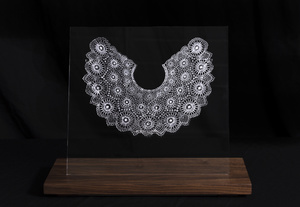 The Workhouse Arts Center is very excited to promote and display the breadth of contemporary glass artwork being created throughout the USA and Canada. Carmen Lozar is an artist and educator who lives in Bloomington-Normal, Illinois. Lozar directs the Merwin and Wakeley Galleries at Illinois Wesleyan University and is a member of the art faculty. She has taught at institutions around the world including Pilchuck Glass School, Penland School of Craft, Pittsburgh Glass School, Appalachian Center for Crafts, The Chrysler Museum, and the Glass Furnace in Istanbul, Turkey. 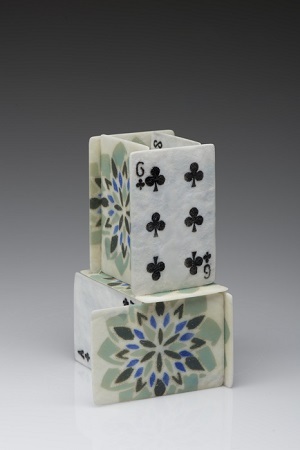 She has had residencies at the Corning Museum of Glass and Penland School of Craft. 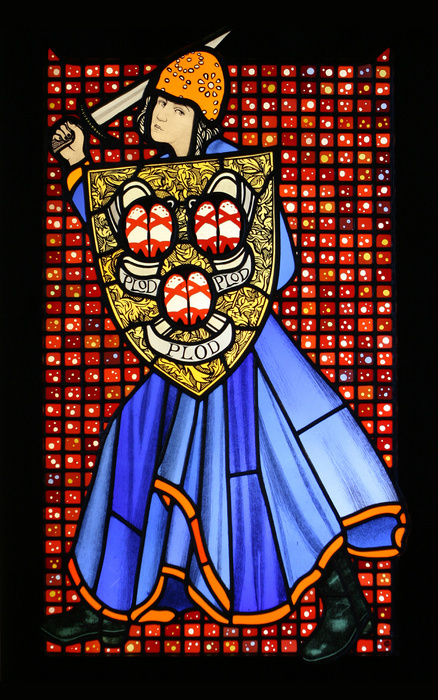 Her work is included in many collections including the Bergstrom Mahler Museum, WI and the Museum of Art and Design, NY. Carmen Lozar was the 2008 keynote speaker and demonstrator at the International Flameworking Conference in Salem, NJ. In fall of 2016, Carmen was invited to New Zealand to present at the New Zealand Society of Artists in Glass conference. In May of 2018 Carmen will travel to Murano, Italy to present at the Glass Art Society conference. Lozar exhibits her work widely throughout the United States and is represented by major galleries in Seattle and Chicago. All works must be primarily Glass. Mixed media works will be accepted only if glass materials are the primary media. The juror will make final determinations. Size is limited to artwork that fits through a standard door. Floor works must be firmly stable. Large scale installations shall be installed by artist. Wall-mounted pieces are limited to 20 lbs. per section. Work must have been produced within the last 3 years. Please visit www.workhousearts.org for a detailed prospectus or visit www.juriedartservices.com for detailed prospectus and to apply. Selections will be conducted from images of works. No substitutions will be allowed. Artists may submit up to 3 entries with two images (including one detail) of each, not to exceed 6 images. Please proof read your entries carefully as this will be the information used to generate any publicity information. (Fee is non-refundable - payable thru PayPal when applying) for up to 3 entries (2 images (including one detail) per entry max.). Delivery of accepted work-being hand-delivered: October 22, 2018 10am-5pm only! Pick-up of Delivered Artwork: January 14, 2019 10am-5pm only! Artists are responsible for shipping their work to and from the Workhouse Arts Center and insuring it while in transit. Works may be shipped, or hand delivered to the Workhouse Arts Center. Works must be shipped in reusable containers and packaging for re-packing and return shipping. Artist must provide a pre-paid return shipping label or check to cover return shipping costs*. Please! No Shipping Peanuts! If you must use them, please place in bags first! *Any check received for return shipping should be for the same amount as it costs to ship to the Workhouse Arts Center. When determining return shipping cost, artist must be sure to use same address as it was sent from. The Workhouse Arts Center agrees to hold safe the work(s) of art and agrees, if unsold upon completion of the consignment period, to return the work(s) of art in the same condition as received, less reasonable wear and tear. Artists are encouraged to insure artwork(s). The Workhouse Arts Center is harmless for any damage or loss whatsoever. 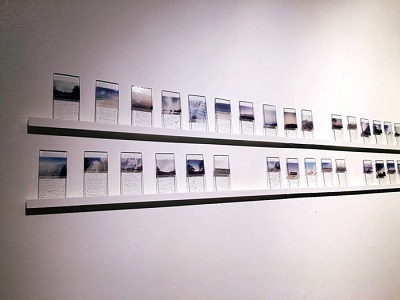 It is understood that works in the exhibition may be photographed, telecast, and reproduced for press and publicity purposes including but not limited to reproduction in newspapers, periodicals, magazines, in television programs and on the internet about the exhibition and the Workhouse Arts Center. An Opening Reception will occur on November 10, 2018 from 6:00 pm to 8:00 pm at the Workhouse Arts Center-Vulcan Gallery.